Looking to protect your Late 2016 13-inch or 15-inch MacBook Pro? We're rounding up the best bags and sleeves to house Apple's latest laptops, from designer pieces to budget-friendly cases. Whether you're a traveling business professional or simply looking for an affordable sleeve, we're helping you find the best laptop bag to protect your Late 2016 MacBook Pro. 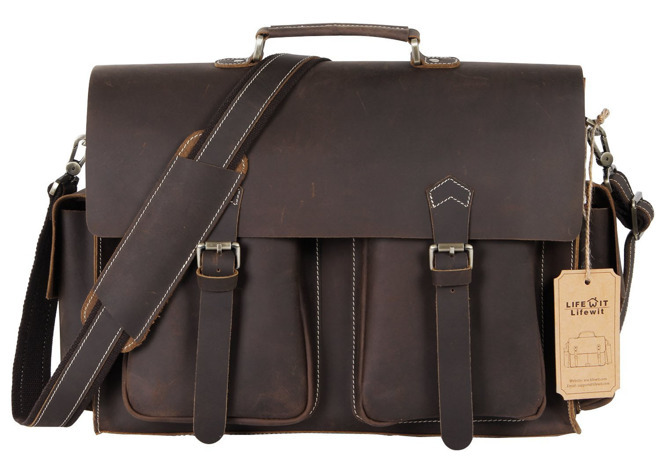 From handcrafted briefcases to commuter backpacks, there's an option for every budget. 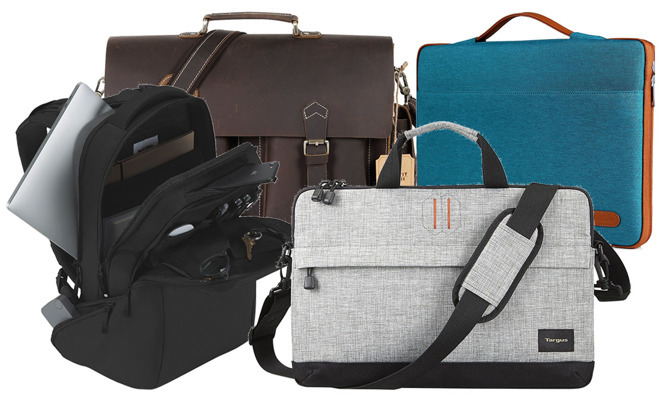 Known for its handcrafted protective covers and cases, Pad & Quill does not disappoint with its Valet Luxury Laptop Bag, which comes in three sizes designed to fit the 15-inch MacBook Pro, 13-inch MacBook Pro and 12-inch MacBook. Also available in three leather choices: Chestnut, Galloper Black, or Dark Chocolate, the Valet Luxury Laptop Carryall has plenty of room for additional accessories, such as an iPad, Apple Pencil and power cables. Adding a unique touch, each bag is discreetly signed by the artisan who made it, a nice feature when purchasing a handcrafted item. Plus, Pad & Quill stands by the Valet Luxury with a 25-year warranty. 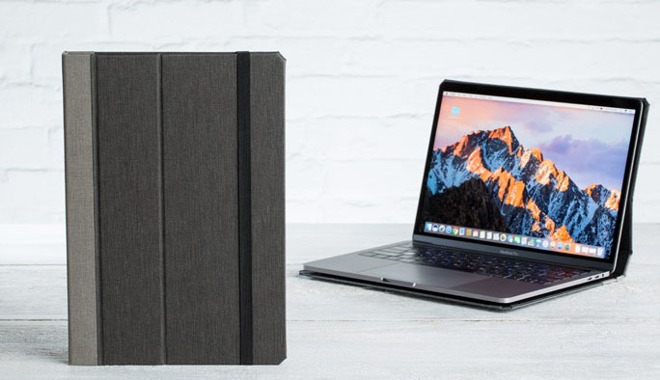 Also handmade by Pad & Quill, the Cartella Slim Case offers Late 2016 MacBook Pro users a slim, protective covering that turns your MacBook Pro into a hardbound book thanks to a specially developed spine. The MacBook Pro can be opened fully, and all ports, vents and fans are accessible. The Cartella Slim Case also fits in the middle compartment of Pad & Quill's Luxury Briefcase for added protection. Available in three colors: Linen Gray, Charcoal and Cranberry, the Cartella starts at $89.95. If you're looking for a simple case that won't break the bank, ProCase's protective laptop sleeve with a hand strap fits the bill. 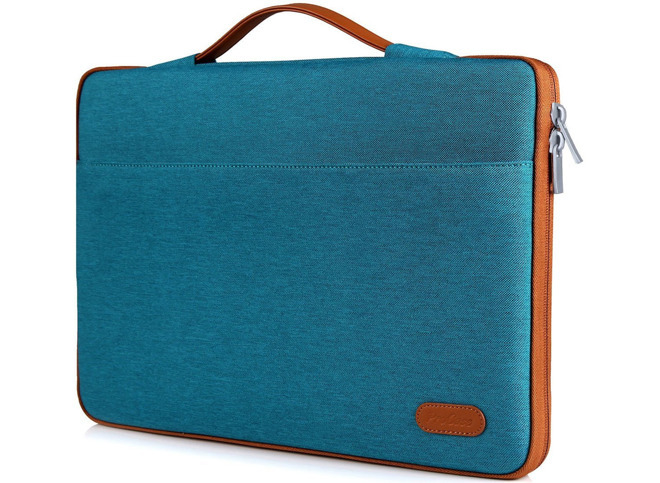 Ringing in at under $22 for the 15-inch version, this case also comes in four colors. There's an extra pocket in the front to store a charger or cables, and the sleeve is built with a water resistant exterior. Inside, there's a soft lining with padding to offer additional protection for your MacBook Pro. Great for commuters due to its abundance of storage compartments and backpack form factor, the Incase Icon can hold a 15-inch MacBook Pro, 9.7-inch iPad, iPhone, AirPods and more. Made of 840D nylon, the Icon also has a hip-side power pocket with an integrated cable port. The top pocket, which can hold glasses or a cell phone, is plush lined for added protection. If you carry a water bottle, though, you may want to look into other options as the Icon does not have external side pockets. 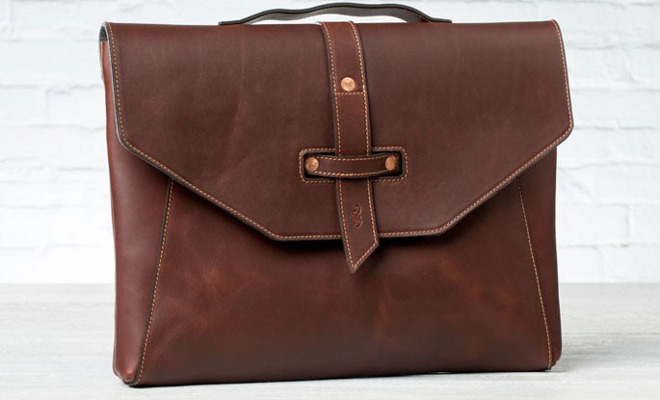 Made of cowhide leather, this handmade messenger bag by Lifewit combines style with versatility. 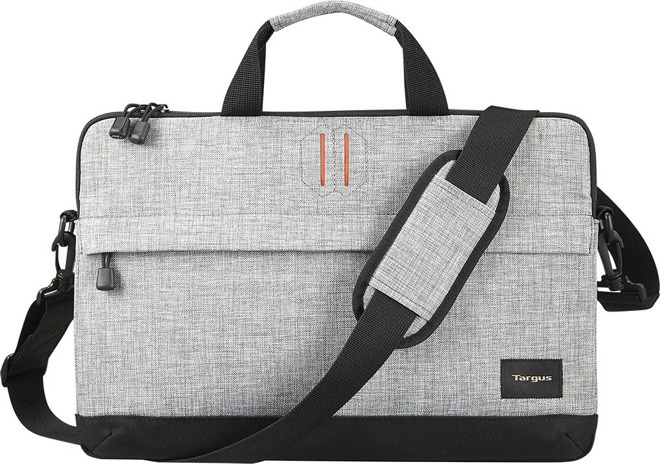 The shoulder strap is adjustable and removable —and the bag also features one padded laptop sleeve, two front zipper pockets, one back zipper pocket and two side pockets to stow a MacBook Pro, iPad, iPhone and more. The bag also has metal feet on the bottom to avoid scratches. At press time, the Lifewit laptop briefcase is on sale for $136.99 at Amazon with free expedited shipping for Prime members. Looking for a lightweight case that has a shoulder strap for added convenience? The Targus Strata in silver features a red interior for added visibility when combing through the bag's contents. It also has a front zippered pocket for small accessories like a travel mouse and charger. At under $30, it's an affordable option for those in need of a slim form factor. 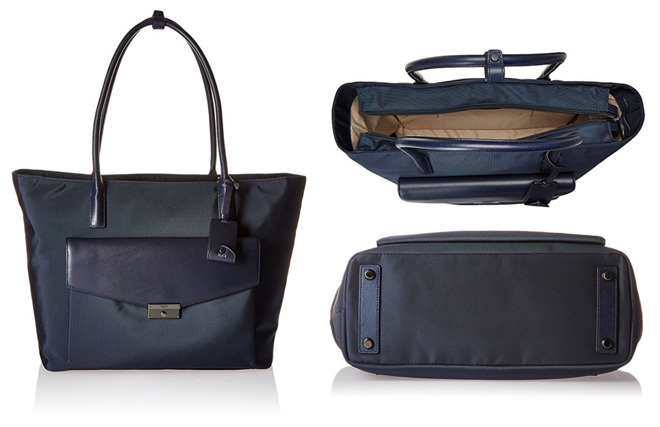 For business professionals on the go, the Tumi Larkin Tanya Tote offers modern conveniences in a classic design. The leather top carry handle features a snap when not in use. Storage compartments include an open cellphone pocket, one padded laptop compartment for your MacBook Pro, one media pocket, one velvet-lined jewelery pocket (great for traveling), a key leash and more. The back sleeve fits over extended luggage handles for easy transport through airports as well. Prefer a hard case? 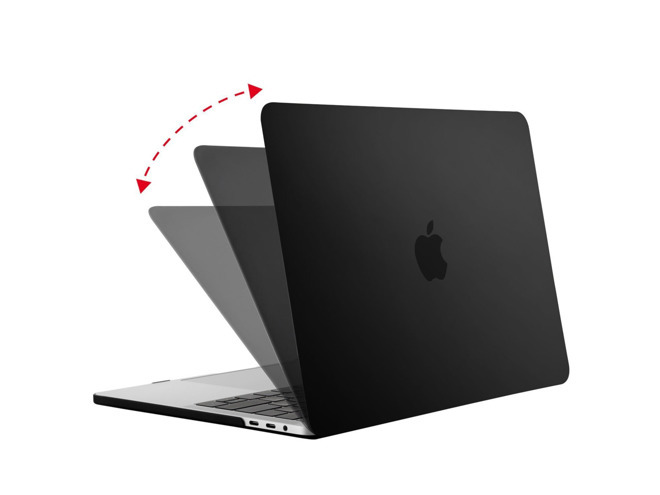 Mosiso's Plastic Hard Case with Screen Protector for the 15-inch MacBook Pro comes in 19 colors with an easy on/off design and a rubberized exterior to prevent scratches. Ports are accessible without removing the case, and Mosiso is including one screen protector with the case as well. Those who own a 13-inch MacBook Pro with or without a Touch Bar can also purchase a Soft Touch Case designed specifically for the newest MacBook Pro.